A San Angelo man was shot and killed by a Texas state trooper Thursday night. SAN ANGELO, Texas — This according to the Texas Department of Public Safety. 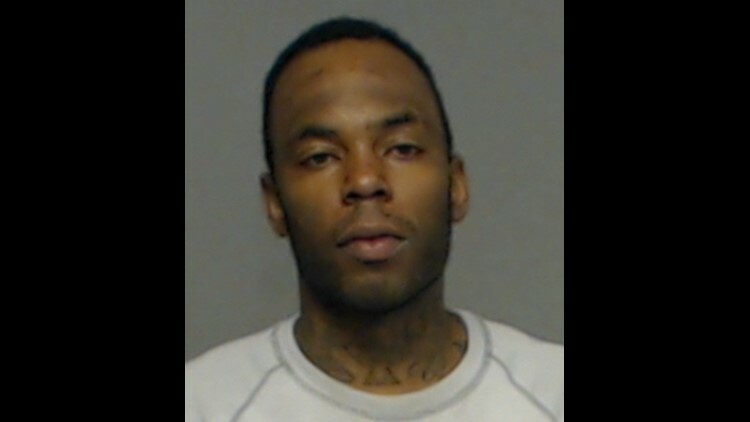 DPS identifies the man as 34-year-old Marcus McVae. Authorities say a trooper pulled over a Chevy Impala going east on I-10 around 4:40 p.m. Thursday, April 11. That’s when McVae jumped out of the car and ran across four lanes of I-10, then into the wooded area behind a business called Bee Jay’s Machine Shop. DPS officials said an assault and altercation occurred during the foot chase and the trooper fired one round, killing McVae. The Texas Rangers were called in and that trooper has been put on administrative duty during the investigation. The trooper has been with DPS for five years. A female passenger, later identified as Elizabeth Norton, who was with McVae, got into the driver’s seat and drove away after McVae ran from the scene. She was found and arrested later that day on the east side of Boerne. She has been charged with evading detention with a vehicle. McVae has a criminal history in Tom Green County. According to court records, he pleaded guilty to his role in a 2016 armed robbery that happened in the county. Court documents say McVae and at least seven others were arrested for breaking into a man’s RV at a construction site, restraining him with duct tape, holding him at gunpoint, then stealing several trucks and thousands of dollars’ worth of oilfield and construction equipment. McVae was sentenced to 10 years’ probation for an engaging in organized criminal activity charge. McVae broke the conditions of his probation when he was arrested in December 2018, by Tom Green County Sheriff’s deputies. According to a press release from the sheriff’s office, after an investigation, deputies found approximately 45.5 grams of THC gummy bears, 31.6 grams of marijuana, 5.8 grams of crack cocaine, and $2,230 in U.S. currency in McVae’s home. Court records show that on March 6, 2019, McVae did not show up for a court hearing and a warrant for his arrest was issued. Texas DPS did confirm on the night of the shooting that McVae had active warrants for his arrest.